for $276,000 with 2 bedrooms and 1 full bath, 1 half bath. 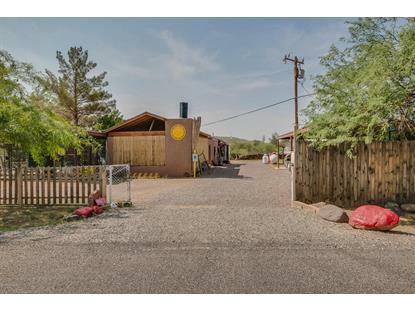 This 1,320 square foot home was built in 2003 on a lot size of 21344.00 Sqft. Think bunker meets RV park meets perfect AirBNB property. Whether you are looking to get away or looking for a secondary home this amazing opportunity is second to none. Situated in the middle of the State, Black Canyon City is such a unique city for anyone looking to get out of the city or to call (a secondary) home. With miles of National Forest nearby that supports, ATV, horseback, hiking biking, or any other outdoor event you can think of, this is a great place to be. And if that is not enough to peak your interest, the owner is also open to selling his well established, well reviewed, FOOD Truck business as well. 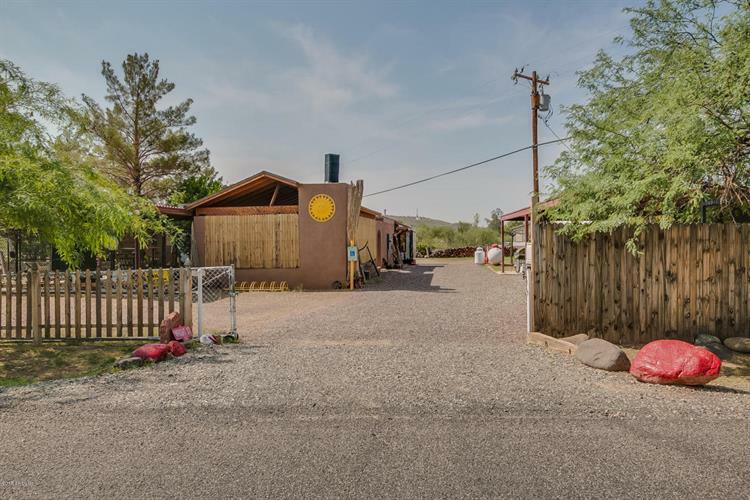 The property itself is so structurally sound (steel and concrete block/poured concrete) with steel constructed over head parking for 5, three RV hookups and a clean out.